The 12th-seeded ’74-’75 Philadelphia Flyers started this series off with back-to-back 4-0 shutouts. The 28th-seeded ’09-’10 San Jose Sharks got in the series with a double overtime win in Game 3, but the Flyers held on for one-goal wins in Game’s 4 and 5 to close out the series. The Flyers had a balanced attack offensively that was more than the Sharks could offer. Bill Barber and Bobby Clarke both scored four goals to tie for the team lead in goal scoring. Clarke, just like in their first series, was Philly’s top playmaker in the series. He totaled seven helpers in the five games while Reggie Leach finished second behind him with five assists. Clarke also finished with a series-high 11 points. Leach, once again, finished second behind the captain with eight points in the series. There was a three-way tie for the team lead in plus/minus at +7 between Bill Clement, Bob Kelly and defenseman Jimmy Watson. Defenseman Tom Bladon finished alone in second with a +5 rating. 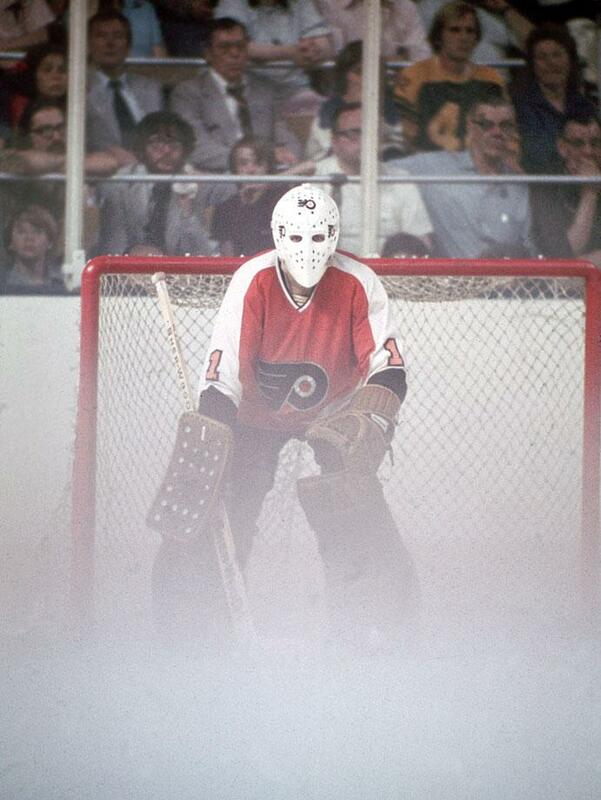 Goaltender Bernie Parent started off as well as a goalie can start off a series. He posted a 22-save shutout in Game 1 and a 21-save shutout in Game 2. He finished the series with a 4-0-0 record, he was actually pulled in the Flyers’ only loss in the series and was not the goalie of record, to go along with a 2.40 goals against average a .909 save percentage. Patrick Marleau was the Sharks’ top goal scorer in the series with four goals while there was a three-way tie for second. Dany Heatley, Manny Malhotra and Joe Thornton all scored twice in the series to finish tied for second. Surprisingly, it was Heatley who led San Jose in assists with four. There was also a major tie for second in helpers. Ryane Clowe and defenseman Dan Boyle tallied two assists along with both Marleau and Thornton. At the top of the Sharks’ overall scoring leaderboard, Heatley and Marleau both finished with six points. Big Joe finished alone in second place with four points. San Jose’s top D-pairing was responsible for the first and second highest plus/minus ratings in the series. Boyle posted a +4 while Rob Blake was right behind him with a +3. The Sharks got outplayed for large portions of this series and therefore, goaltender Evgeni Nabokov had a tough time. He posted a 1-4-0 record with a 4.40 goals against average and a .883 save percentage. The ’74-’75 Flyers are doing what they are known for. They’re physically beating up their opponents while supplying some nice offense and stellar goaltending. They continue to be the franchises trailblazers as the first rep to win a round. Meanwhile, for the ’09-’10 Sharks, they progressed farther in this tournament than they did in the inaugural tournament. They were swept out of the Second Round after advancing through from the First Round in six games.The ’74-’75 Flyers will now meet the 13th-seeded ’74-’75 Los Angeles Kings in the Quarterfinal, who upset the 4th-seeded ’73-’74 Boston Bruins in the Third Round. Up next in the Third Round, the top-seeded ’78-’79 Montreal Canadiens face off against the 16th-seeded ’02-’03 Dallas Stars! This entry was posted in 3rd Round, Ultimate NHL Playoff and tagged Bernie Parent, Bill Barber, Bill Clement, Bob Kelly, Bobby Clarke, Dan Boyle, Dany Heatley, Evgeni Nabokov, Jimmy Watson, Joe Thornton, Mann Malhotra, Patrick Marleau, Philadelphia Flyers, Reggie Leach, Rick MacLeish, Rob Blake, Ryane Clowe, San Jose Sharks, Third Round, Tom Bladon, Ultimate NHL Playoff. Bookmark the permalink.